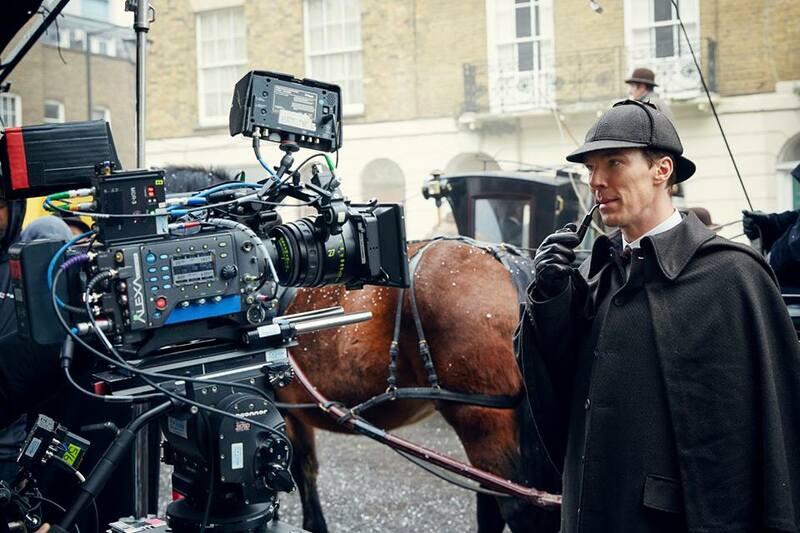 UPDATE: The Sherlock youtube channel have released two more behind-the-scenes features. The first sees the cast grilled on their favourite funny moments from filming The Abominable Bride. “I think it’s because I’m in some of it now,” adds Martin Freeman, more succintly. Alternatively, if you don’t fancy sitting through some Sherlocky goodness (personally, we can’t stop watching Rupert Graves’ massive muttonchops) we’ve picked out a few choice quotes. The Abominable Bride will air Jan 1st on BBC One in the UK and PBS Masterpiece in the US.